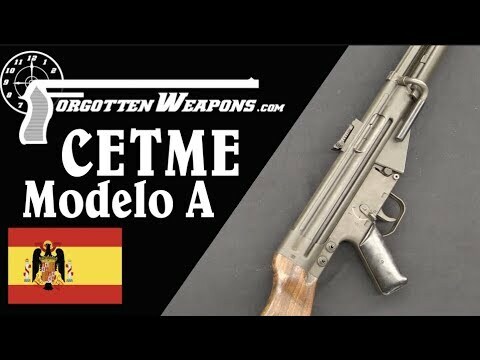 The Modelo A was the first series production version of the CETME rifle, following a series of successful trials in Spain. It was developed by a team of ex-Mauser engineers led by Ludwig Vorgrimmler, and is part of the link between the late-WW2 StG45(M) and the H&K G3 rifles. The CETME A was chambered for the reduced-power 7.62mm CETME cartridge, and had a fire control system which fired from an open bolt in full auto and a closed bolt in semiautomatic. It has a buttstock design reminiscent of the German Strumgewehr, and uses a folding bipod in lieu of a proper hand guard over the barrel. In addition, it still uses a tangent leaf rear sight, unlike the later Modelo C and G3 rifles. BUSTED! BIG NAMES RUNNING FOR COVER As Sen. Graham Just RELEASED EVERYTHING!